Is Moser's Vantablack dial so dark you cannot even read the time? According to Wikipedia, “Vantablack is the trademarked name for a chemical substance made of vertically aligned carbon nanotube arrays and is the darkest artificial substance known, absorbing up to 99.965% of radiation in the visible spectrum. Vantablack is composed of a forest of vertical tubes “grown” on a substrate using a modified chemical vapor deposition process (CVD). When light strikes Vantablack, instead of bouncing off from it, it becomes trapped and is continually deflected amongst the tubes, eventually becoming absorbed and dissipating into heat. Vantablack was an improvement over similar substances developed at the time. Vantablack absorbs 99.965% of visible light. It can be created at 400 °C (752 °F); NASA had previously developed a similar substance, but that can only be grown at 750 °C (1,380 °F). For this reason, Vantablack can only be grown on materials that can withstand higher temperatures. 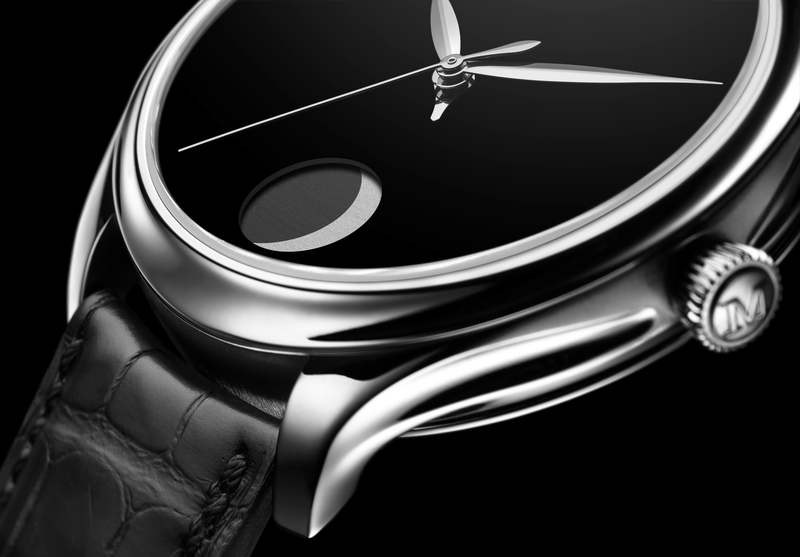 For the new Endeavour Perpetual Moon Concept Moser used the trademarked material to create a dial that is effectively the darkest black dial in watchmaking, although their sister company, MCT, has already used the material in watchmaking, so Moser’s not the first. 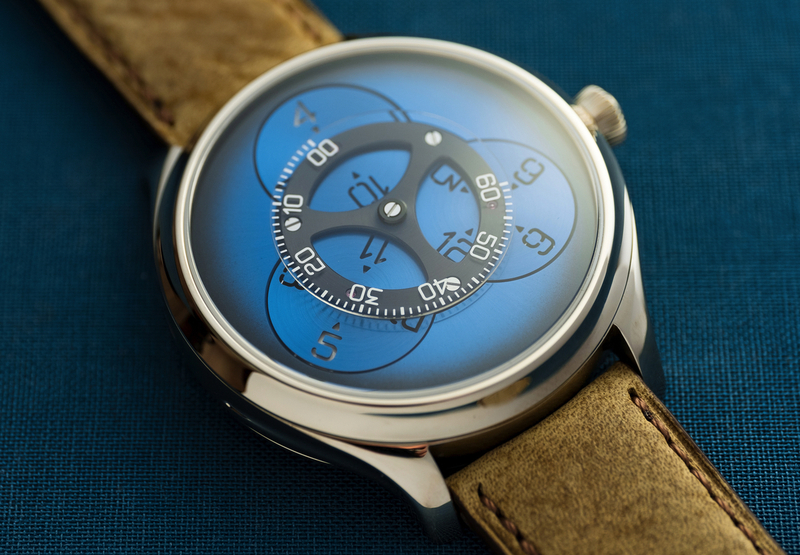 Definitely an interesting use of high-tech materials, and the choice of a steel case over gold (although this new model also comes in red gold with a midnight-blue fumé dial). 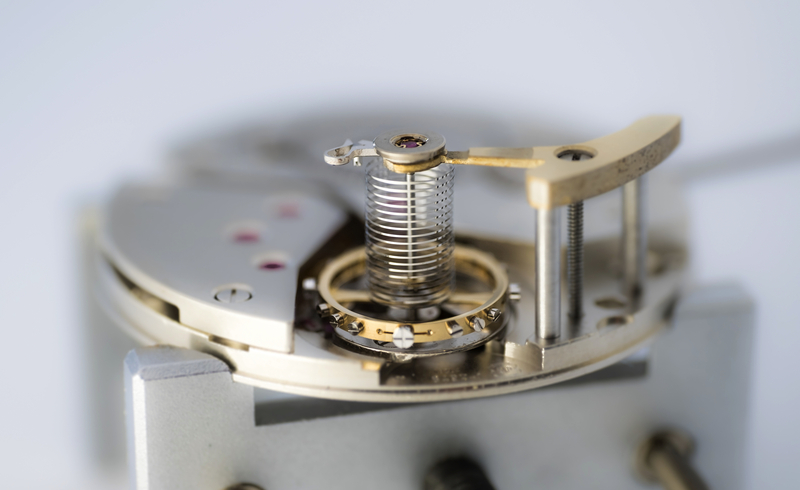 The watch is powered by hand wound caliber HMC 801 which beats at 2.5Hz, has 28 jewels, a 7-day power reserve including a power reserve indicator on the movement side, and an extremely precise moon phase system that can be adjusted using a pusher (recessed in the case). “On average, the moon’s orbital period lasts 29.53059 days. To be more precise: 29 days, 12 hours, 44 minutes and 2.9 seconds. 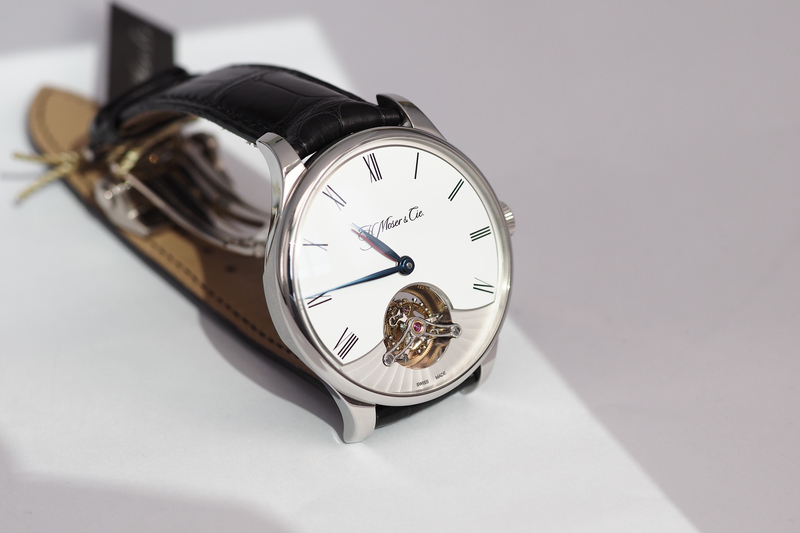 The Endeavour Perpetual Moon Concept’s intricate wheel train portrays this interval so precisely that the gap is a mere 0.23 seconds per day, that is to say one day’s deviation after 1027.30 years, making it the most precise model available,” according to Moser. The watch measures 42 mm x 12.9 mm and features a minimalist, logo-less, unmarked dial with just two leaf-shaped hands for hours and minutes, a baton-shaped sweeping seconds hand, and a moon phase indicator at 6 o’clock. Vantablack is surely an interesting material, but ultimately for those who are pragmatic, and you know, want to read the time from their watch, it’ll be hard with no gradations marking the hours or minutes, let alone the seconds. So regardless of how precise the moon phase is, you’ll still have to look at your phone for the exact time.